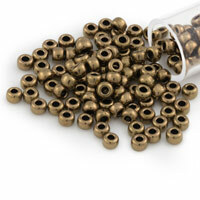 Shop the best selection of Miyuki Seed Beads online. 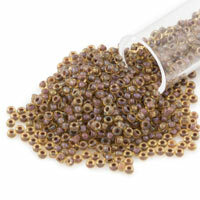 We sell all Miyuki Seed Bead in economically priced three gram tubes. 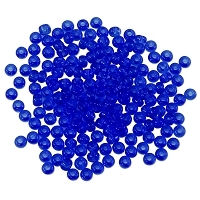 No need to get stuck with giant hanks of beads, at JewelrySupply.com you can buy just the right amount of beads for your next jewelry design. 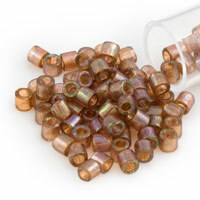 Known worldwide as the best seed beads, Miyuki Seed Beads are available in a rainbow of colors and finishes. 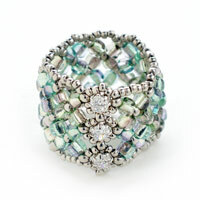 These glass seed beads are available in amazing discounts. The more you buy, the more you save. With free shipping on all U.S. orders over $49, you can fill up your bead box without breaking the bank. Looking to learn new Seed Bead jewelry techniques? Click here to check out our instructional videos to learn a variety of stitching techniques to create your own jewelry. The term seed beads refers to small beads that closely resemble the size and shape of a seed. For thousands of years, Seed Beads have been used by villagers to create jewelry. Finding small, round, oval or tear-dropped shaped seeds, then piercing a hole through them, the villagers would string the Seed Beads onto cording to be worn as necklaces and bracelets. Today's Seed Beads are typically made of glass, and range in size, small to large, from 6/0 to 15/0, perfect for Bead weaving by hand or by using a Beading Loom. 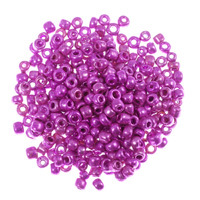 The most popular size Seed Bead is 11/0. 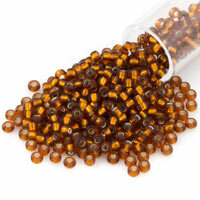 Seed beads also work well as spacer beads in almost any jewelry designs. 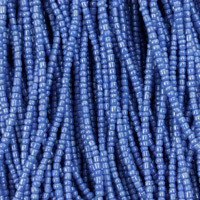 Seed Beads, such as Miyuki Seed Beads from Japan, as well as PRECIOSA Seed Beads produced in the Czech Republic, are highly regarded for their uniform shape, size and finish. 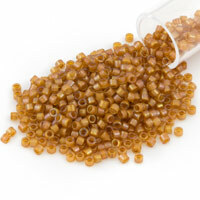 Delica beads from Miyuki are very popular for their cylinder shape. 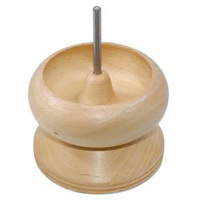 The ends of these seed beads are flat instead of round, allowing for the seed beads to line up nice and straight when used in loom work or beadworking patterns. While not as well known as other regions, Seed Beads from India are growing in popularity, and feature some new and exciting color choices.